Pets can help us lead happier, healthier lives. It is not uncommon to pick up a magazine or newspaper and read yet another article describing the benefits of pets for long-term care residents, hospital patients and sick children. Among the beneficiaries are people living with dementia, diabetes, high blood pressure and depression. Pets are good for everyone. Companionship with a pet will ease loneliness, reduce depression, stimulate movement and boost moods. Where possible, Activity Coordinators should try and incorporate regular pet visits into their activity programs to provide an enjoyable break to the structured routines of nursing homes and long term care facilities. 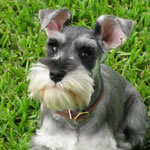 Ideally, every nursing home should own some pets, for example: dogs, cats, canaries, budgies, fish, turtles or rabbits. However, if this is not possible then a visiting dog or cat can also cheer and comfort residents with remarkable success. Dogs greet everyone with the same enthusiasm regardless of who they are or whether they communicate effectively and most people enjoy touching the soft fur of a cat. Pets are a wonderful source of interaction, entertainment and enjoyment. Often residents in long term facilities concentrate too much on themselves because of chronic pain, depression or poor self esteem. Animals can provide a new focus of conversation. Animals accept people unconditionally and this can be heartwarming and soothing for residents. Residents often suffer from their perceived loss of freedom and responsibility; animals can add purpose and inspiration to their lives. Pets inspire humor and good times. Pets are emotionally safe and non-threatening. They don’t discriminate or impose demands. They live for the moment and interacting with them often helps residents concentrate on the present and stop dwelling on the past or worrying about the future. Animal’s are easier to ‘read’ than humans and interaction with pets can help develop an individual’s sense of empathy as they respond to the animal's needs. Caring for pets encourages adherence to a daily schedule and will often evoke wonderful memories of the past. Caring for a pets encourages physical activity: feeding, playing, walking etc. Most people love animals and will enjoy sharing time together in the company of animals, talking and laughing together. Being around animals provides stress relief and spiritual fulfillment. An animal’s love is unconditional. The ideal pet is one that is calm and gentle. Even just weekly or fortnightly visits with an animal can bring about wonderful results. Remember that there may be some people who are afraid of dogs or cats – for these people a pet bird or an aquarium may be better. If you know someone who has a calm and friendly dog ask them to pay your facility a visit. It may not work for everybody but it is absolutely worth a try! 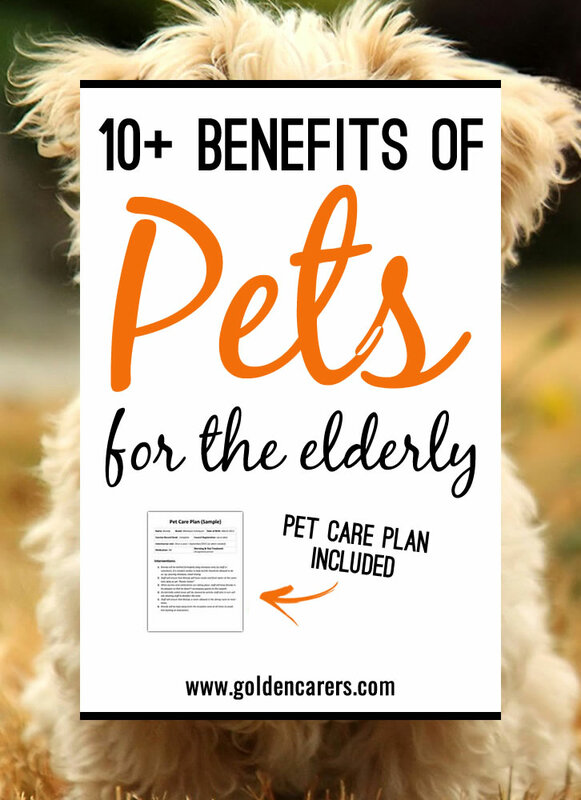 What has been your experience with pets for the elderly? What happens to the chicks once they hatch? Leanne I love the 'living egg' exhibit idea. I live in NSW where do I head to find out more and if it is available near my nursing home? I'm having wonderful success with a 'living egg' exhibit currently. Often run for school children, the company supplies an incubator & warming box with fertilized eggs. The residents have been 'mesmerized' by watching the baby chicks hatch, then we have a deep discussion about naming rights' and the hatchlings are placed into the warming box. After a few hours, they 'fluff' up and are ready for lots of 'cuddles'. The equipment is collected after 2 weeks & any chickens that have not already been 'adopted' out are returned. So much great feedback has been received. Just before Easter, I visit my local pet store & 'borrow' 2 baby white rabbits for the day. The rabbits are very docile & sit quite happily on a hand towel and are passed to each resident. Wonderful for those in reclined chairs (or in bed) as they sit quite happily on the resident's laps or stomachs. We 'borrowed' 5 hens from a fodder store one day & set them up in the Activity room & reminisced about childhood experiences with chicken & then finished off by sharing our favorite chicken recipes! I'll save the pony visits & baby animal farm visit info for another day.